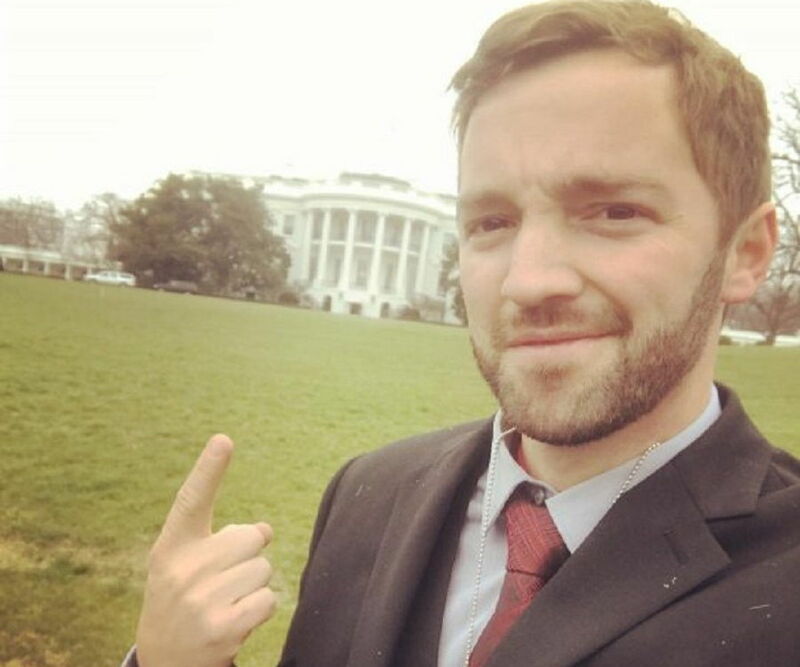 Andy Schrock is an American YouTube star. Check out this biography to know about his childhood, family life, achievements and fun facts about him. 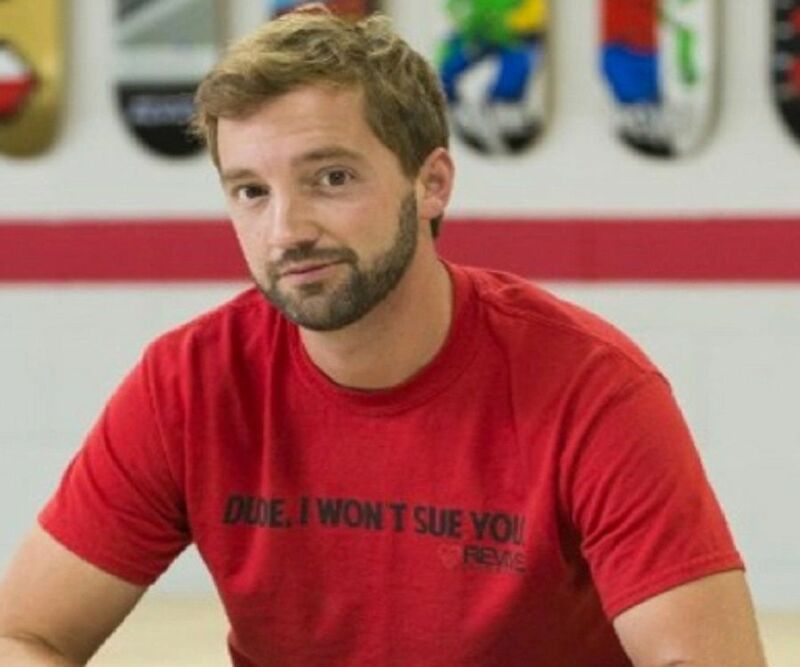 Andy Schrock is an American YouTube star, skateboarder, author, and the owner of ReVive Skateboard and co-owner of Force Wheels. He is most famous for his YouTube channel ‘AndrewSchrock’, where he publishes videos on skateboarding, skateboards, comedy, and his daily life. Some of his videos feature other professional skateboarders. Many even feature his son Ryden and the adventures the father-son duo get up to. He has over 1 million subscribers on YouTube and his channel was one of the highest subscribed channels of 2016. His ‘Father-Son’ videos are some of the most watched videos on YouTube and these include ‘How To Play With Your Toddler 101: PlayGround!’, ‘Father Son Golf Trick shot / The Loop’, ‘5 Year Old Skater Lands His First Ollie’, ‘Father Son Skateboard Camp’, ‘Father and Son Eat Bugs’, ‘2 Year Old Skater Meets Tony Hawk!’, and ‘Father Son House Baseball’ among many others. He is equally popular on other social media channels, such as Instagram and Twitter. He uses them to promote skateboarding and his companies. He has even written a book ‘Yesterday Erased’ which was published in 2013. Before starting his YouTube channel, Andy Schrock worked in a fast food restaurant and also competed as an amateur skateboarder for small sponsorships. He started his channel on June 11, 2007. Initially, he started posting videos like ‘Funniest Montage Ever (720 double flip)’ and ‘How NOT to Skate a 13 Stair Handrail’ which gained many viewers. He slowly started working harder on his videos and publishing content like ‘Andy Schrock - YouTube Skate Part’ in late 2009. This paved the way for him to become a YouTube partner as more people started subscribing. Most of his videos after that started getting thousands of views and ‘Hollywood High 16: Crazy Guy Harasses Skateboarders’, ‘We want Revenge 3: Spots Needed’, ‘How to 3 Flip (Or Die)’ and ‘Public Pranks: Fast Food Idiot’ became some of the most watched videos on his channel between 2009 and 2010. He and his friends came up with the ‘We Want ReVenge’ series of videos to feature full-length skateboarding videos on YouTube in 2009. The growing popularity of the YouTube series also increased a demand for skateboarding products featured on the videos, which led to the company ‘ReVenge Skateboards’. Besides skateboarding, his videos focused on the humorous side of pulling pranks and real-life experiences. He reached a milestone in his career when on August 19, 2011, he reached 20,000 subscribers and revealed that with the video ‘20,000 Subs! ReVenge! Girlfriend!?’. Finally, on July, 2016, Andy Schrock’s channel had crossed more than one million subscribers. This was largely due to the videos he started publishing featuring his son Ryden since 2014. ‘How To Play With Your Toddler 101: PlayGround!’ published on April 30, 2015, has since gained 65 million views. Some of his other most watched videos are ‘Dad Cakes 3 Year Old in the Face’, ‘Weirdo Dad Makes Toddler Crack Up’, ‘Toddler’s Breakfast Challenge’, ‘Father Son Basketball time’, and ‘Father Son Play Time / Dog At The Skatepark!’. He is also the owner of two skateboard companies named ‘ReVive Skateboards’ and ‘Force Wheels’. Andy has also been cast to play the lead role of Gibby on the coming-of-age TV series ‘Paved New World’, airing in 2018. Andy Schrock was born on January 19, 1984, in Cincinnati, Ohio, USA. He got married to his longtime girlfriend, Brittany Lynn, on Jul 29, 2013. The couple welcomed their son, Ryden, on January 28, 2012. Ryden was born 7-8 weeks premature and had to be kept under intensive care for two months in the hospital. He finally came home on March 26, 2012. Many of Andy’s videos also feature his wife and his son.